First of all I need to state that I am normally optimistic, I usually like signings and find it hard to find fault in what we do, last year for example I was happy with the business we had done by the time the season had started, over the season I was proven wrong with Lambert, Balotelli and Lovren failing to produce throughout the season and Markovic, Manquillo and Moreno, failing in many fans eyes. Despite this I'm still going to put on record my thoughts about this summers signings. Once again I'm optimistic and like the signings, I feel that we have bought several players who can and will go straight in to the first eleven and that everybody is an improvement on last season. 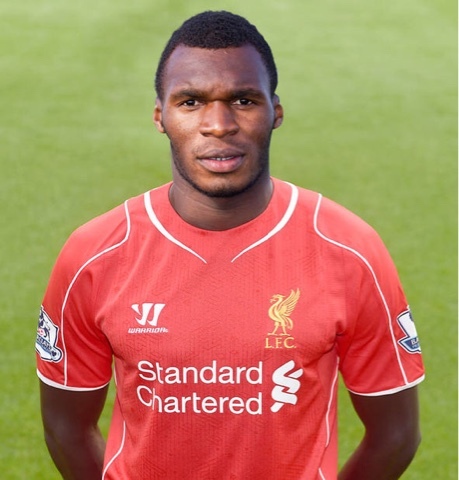 Firstly the most controversial, Benteke, I like him, he seems to have the lot, pace, power, movement, physicality, finishing, technique, arial ability, proven Premier League record what more could we want. Granted he is expensive and everybody is a risk but strikers are expensive no matter who you buy and I would argue that attackers with a comparable record go for similar money if not more, Lukaku would be a good example. We as Liverpool fans often fall into the trap of wanting a foreign sounding name that we no little about rather than players we know are good and who can achieve. There are other good strikers out there, possibly cheaper but we have a very good striker on our hands and that's what we were demanding at the start of the window. Firmino, an excellent player and the marque signing that we have all been shouting for. I'm very excited by Firmino several people were talking about him last summer and because of this I have watched him play and thought he was out of our reach and that he would be going to one of the big names for huge money, delighted that we got him and I am certain that he will be a huge success. Ings a good young player he stands a chance, had a lot of work to do and needs to develop but in my opinion will be more effective than Borini, Lambert or for that matter Balotelli so an improvement in the squad so this makes me happy. Clyne, again I have high hopes widely touted as the best right back in the country and he chose to sign for us over some of our competitors so that's good and a definite improvement over Johnson so yet again our squad gets stronger. Bogdan, not overly impressed I have to admit, we wanted a new reserve keeper and we got one and he without doubt is an improvement over Jones so at least he represents a step forward if only a small one. Milner to be honest originally I wasn't to bothered by this signing but I have since changed my mind and now believe he will be a huge player for us over the coming season. Several things have changed my mind, better people than me have been singing his praises, City were desperate to keep him offering lots of money, he seems to have bought into the Liverpool project and finally and most importantly his performances in pre season have been excellent.n I again believe he has improved our squad from last season with a 29 year old Milner looking stronger than a 34 year old Gerard. Gomez didn't know anything about this lad but he has been the shining light of pre season with some exceptional performances, yes I know it's only pre season and the opposition weren't all that but that's all I have to go on and by God the lad looks exciting. We have also signed a couple of youth team players that those who are in the know seem to be excited about so that also looks good and if we continue to support and develop our young players as we have been uni believe we will continue to be able to sign the best young talent from around the world and this can only help the first team. So, overall I'm delighted and excited about the season ahead, with new coaches in place I hope some work gets done on defending and set plays at both ends and we could achieve anything, let's hope for exciting times ahead.